Last Game: Last night in Providence, the Pens won 2-1 in overtime. Matt Murray made 40 saves and Scott Wilson netted both goals for the Penguins. For Bridgeport, this is their first game of the 2015-16 campaign. Record: For WBS: 1-0-0-0 (1st Place, Atlantic Division) — For BRI: This is their first game of the season. Why you should care: Penguins gave up way too many shots and took way too many penalties for Head Coach Mike Sullivan’s liking last night yet somehow still found a way to win. Expect Wilkes-Barre to button up the shots allowed and play a more disciplined game against a fresher Sound Tigers team looking to get their season off on the right foot. 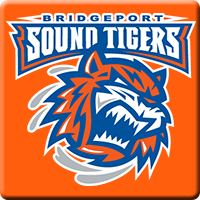 Radio: For WBS: WILK NewsRadio / For BRI: I don’t think Sound Tigers games are on radio. Here’s the link to AHL Live where you could here the game if you want to. Other Game to Watch: Hershey and Lehigh Valley get their seasons going today as well. The Bears are in Springfield and the Phantoms play hosts to the Syracuse Crunch. Both of these teams are going to be neck and neck with the Penguins for best team in Pennsylvania all season long.